Join us on the green for the Annual I AM I CAN golf tournament. This a day filled with nothing but fun! 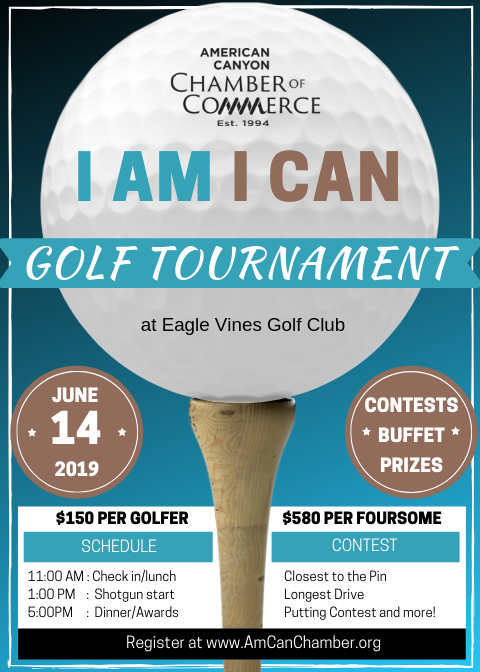 Round up your team, or take a day to golf with members of the Chamber! Don't golf? That's ok! Join us for dinner and celebrate the winning teams with us! Sponsorship & Volunteer Opportunites are available!